Tomorrow evening is the annual event known as Earth Hour, when people throughout the world turn off their lights as a symbolic gesture of environmental unity. See Earth Hour homepage. Granted, turning out the lights by itself doesn’t do much to help the Earth, but I find that it is a good time to think about the environment, including climate change, and consider what each of us can do. Most of the time, my wife and I — occasionally with family and friends — take a moment to appreciate what we have, discuss things in general or play a game. The grandkids like to play Hide and Seek in our darkened house. Is Earth Hour losing its inspiration in the U.S.? If you do an online search for “Earth Hour,” you’ll find lots of people, organizations and businesses around the world participating in this annual event on Saturday. But it appears that enthusiasm in the U.S. and especially Washington state may be waning. Earth Hour involves the simple act of uniting people throughout the world by turning off the lights, television and other electrical devices for an hour — from 8:30 to 9:30 p.m. Started in 2007 by the World Wildlife Fund, Earth Hour sends the message that everyone can be involved in reducing the effects of climate change. Through the years, I have enjoyed the quiet time, sometimes with family and friends, sometimes with just my wife. Although it seems like a good time to discuss the challenges of climate change, our conversations don’t often go in that direction. Instead, we take a moment to appreciate what we have, talk about things in general or play some sort of game. Hide and Seek in a darkened house is what the kids want to do. I noticed in my online search that various restaurants around the globe are offering candlelight dinners during Earth Hour this year. I like that idea, although I’m not sure if it fits into the pure spirit of Earth Hour. Still, to get out and be among a larger group of people would be nice. The Tundra Restaurant & Bar in Toronto, Canada, has created a special menu of locally grown foods for this Saturday’s Earth Hour. All 17 Brasserie Blanc restaurants in England will be celebrating the hour. The DoubleTree Inn in Victoria to the north of here will be dimming the lights throughout the hotel and encouraging people to recognize Earth Hour. “This year, we invite Finns to participate in the biggest candle light dinner in the world to awake conversation about ecologically responsible food. We ask people to turn off lights, light up candles and spend an hour with their loved ones enjoying climate-friendly food. “Food touches every single person, and about 20 percent of our emissions are caused by what we eat. Approximately 60 percent of the emissions are caused in the production and most of them are related to producing meat, eggs and dairy. These are just a few examples of how people are getting into Earth Hour in other countries. However, I’m finding it harder each year to find participants in Washington state, which has always been a major part of the environmental movement. Check out the participant list. 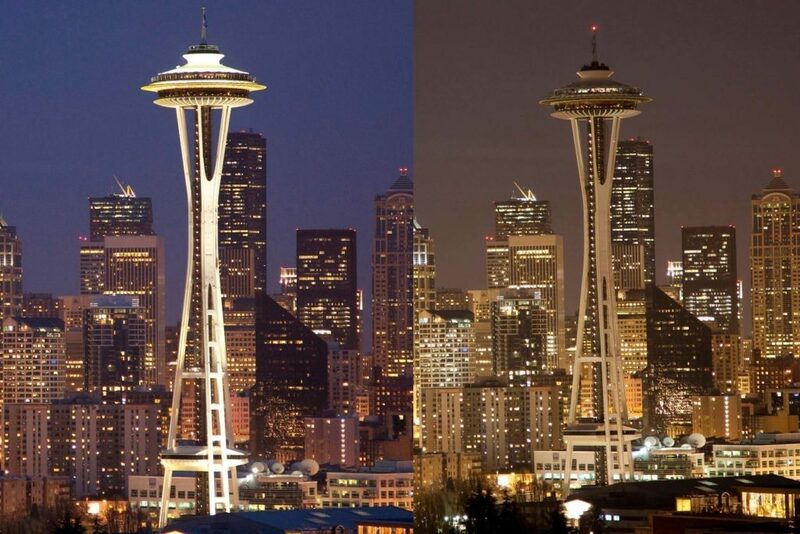 The Space Needle and Pacific Science Center remain on the list for going dark. (I’m not sure how the Space Needle restaurant is involved.) Several other local groups on last year’s list have not signed up so far this year. The World Wildlife Fund boasts of support from 42,000 cities and towns from 172 countries around the world. In Washington state, Snoqualmie is the only city posted on the official participants list, although Seattle is involved in the challenge to become Earth Hour Capital. In addition to the Space Needle and Pacific Science Center, landmarks going dark Saturday include the Golden Gate Bridge in San Francisco, the Empire State Building in New York, Big Ben and Buckingham Palace in London, the Forbidden City in Beijing, the Eiffel Towel in Paris, the Borobudur and Prambanan temples in Indonesia, and the Opera House in Sydney, where it all started. Archbishop Luis Antonio Tagle, a Filipino Cardinal of the Roman Catholic Church, urged his followers in Manila to be one with the rest of the world, as part of Pope Francis’ call for “ecological justice,” according to a story by reporter Leslie Ann Aquino in the Manila Bulletin. “Let’s turn off our appliances and other things that use electricity to give our world a little rest,” Tagle was quoted as saying. 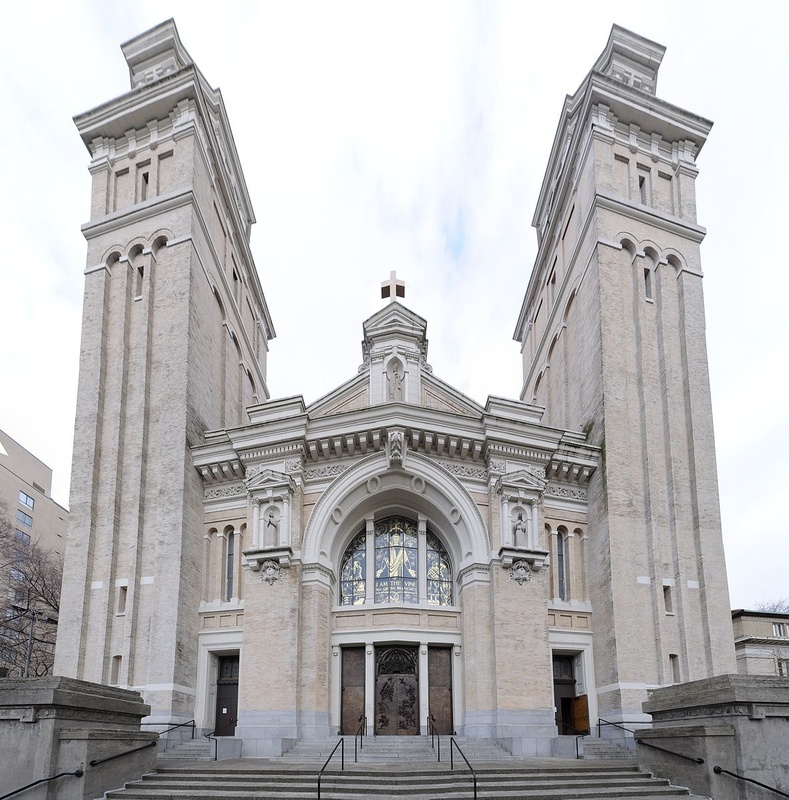 This year, for the first time, St. James Cathedral in Seattle will participate in Earth Day by darkening its exterior, thus “bringing awareness to the issue of climate change in the spirit of Laudato Si, Pope Francis’ encyclical on environment and poverty,” according to Earth Ministry’s website. Perhaps before Saturday additional newcomers will become part of Earth Hour, as others renew their participation in the annual event. I admit it seems kind of quaint, but I look forward to turning out all the lights in my house once a year and sitting in the dark. It’s a time to contemplate all our marvels of technology while considering the needs of many people around the world. Earth Hour is coming up on Saturday beginning at 8:30 p.m. The question of the hour: What can we each do to make things better? If you get the chance, bring your family and/or friends together. You can go out to dinner or do other things before or after the designated hour, but for 60 minutes let your thoughts wander to other places in the world. For me, that kind of reflection is enough for the moment, but the Earth Hour website talks about inspiring people to join environmental projects across the globe. By reviewing the website, Earth Hour can become a time of learning about worthwhile causes. Listen to Jason Priestly and others in the video player on this page. If you want to make a difference, check out the five-step program for creating an Earth Hour event. Maybe think about doing something over the next year and sharing it on the Earth Hour website in 2015. Earth Hour begins each year in New Zealand, the first place the clock strikes 8:30 on the designated Saturday night. Famous landmarks involved in the lights-out event include the Empire State Building, New York; Tower Bridge, London; Edinburgh Castle, Scotland; Brandenburg Gate, Berlin; the Eiffel Tower, Paris; the Kremlin, Moscow; and the Bosphorus Bridge connecting Europe to Asia. If you don’t have it marked on your calendar, Saturday at 8:30 p.m. marks the start of Earth Hour, when people around the world turn off their lights for an hour to show their concern for climate change. This is my fourth year to commemorate Earth Hour, and I look forward to the quiet time. I see Earth Hour as a big event, because it is happening throughout the world, but also as a small event, because it is so simple. Last year, the event’s sponsor, World Wildlife Fund, added a new element called the “I will if you will” challenge. The video-based challenge calls for individuals or groups to promise to do something worthwhile (sometimes big) if a lot of other people will do something else worthwhile (usually easy). You should check out some of the videos. Six finalists were named during this first Earth Hour City Challenge. Besides Vancouver, the other finalists were Forlì, Italy; New Delhi, India; Oslo, Norway; Uppsala, Sweden; and San Francisco, USA. “Local governments around the world are striving to create attractive, smart cities while tackling a multitude of urgent environmental challenges. Vancouver can serve as a role model for how cities can engage residents in these efforts, thereby accelerating the transition towards low carbon development. The city was recognized for its “impressive transportation strategy” along with its food and neighborhood energy plans. For example, all new buildings in the city are called on to be carbon neutral by 2020, when more than half of the trips by residents are to be by foot, bicycle or public transit. Earth Hour is this Saturday beginning at 8:30 p.m. The annual event is a chance for everyone on Earth to connect with everyone else by turning off their lights for an hour. As I’ve mentioned before, I’ve found the symbolic event to be an enjoyable time for sitting quietly in the dark with a few candles and discussing with my family what we can do as individuals, joining with others, to make this a better world. As others have said, all important movements start with small actions. I like Earth Hour, because one is joining something both big and small. It’s big because it is taking place throughout the world. It’s small because it is such a simple thing. Here’s a quick reminder that Earth Hour is Saturday from 8:30 to 9:30 p.m. I’ve found it to be an enjoyable hour of sitting in the dark and talking to my family about what we can do as individuals, joining with others, to make this a better world. It also saves some electricity. As I explained when I decided to join this demonstration two years ago, all important movements start with small actions. By taking part in Earth Hour, one is joining something both big and small. It’s big because it is taking place throughout the world. It’s small because it is such a simple thing. Review Water Ways from March 25, 2009. I guess if Earth Hour is good enough for United Nations Secretary-General Ban Ki-moon and the Kitsap County commissioners, it’s good enough for me. I was going to ignore this so-called demonstration, which is supposed to show that all of us can address the problems of climate change and together make a difference. Just a waste a time, I thought. Then I realized that all important movements start with small actions. I talked to my wife Sue about it, and we decided that it wouldn’t hurt us to turn off our lights for an hour on Saturday night. We would be part of something bigger than ourselves. See the national Web site for Earth Hour. “Earth Hour is a way for the citizens of the world to send a clear message. In New York, we will switch out the lights at U.N. Headquarters. Other U.N. facilities around the world will also take part. Other governments, including the city of Seattle, also are participating. If you’d like to join me and millions of others in this symbolic event, you may register at a Web site called “Washington State Earth Hour.” Click on the map to register and check out who else has placed his or her name on the line.